In today’s data-intensive world, much enterprise focus settles on analytics; in other words, the central problem becomes what to do with all the data you’ve collected. It’s an important problem to solve, but you’ll never get there if you don’t have an efficient, long-term data storage solution to provide a stable foundation. After all, you can’t analyze data if you have nowhere to put it. So what are the biggest problems in data storage today, and how can you overcome them? 1. Infrastructure. Data needs a place to rest, the same way objects need a shelf or container; data must occupy space. If you plan on storing vast amounts of data, you’ll need the infrastructure necessary to store it, which often means investing in high-tech servers that will occupy significant space in your office or building. One of the easiest workarounds is to use cloud hosting and cloud storage, which take advantage of another company’s infrastructure to save you that space and the trouble of setting things up yourself. 2. Cost. Running your own data center is an expensive operation. You’ll need to spend money on initial setup, ongoing maintenance, and the costs associated with the people responsible for maintaining it. Again, the best solution here is to outsource the work; you’ll probably have to pay a monthly fee, but it will save you money in the long run. 3. Security. Security is a major issue to overcome. Hypothetically, if your data is stored somewhere, it’s possible for a third party to obtain it. There are many layers of security that can help you prevent this unauthorized access, including encryption and reliance on third-party providers, but there’s a limit to how well these can protect you—even the FBI has trouble maintaining the security of its data when its own best practices aren’t followed. You’ll need to run a tight operation, choosing the best partners and keeping your own team adhering to best practices at all times. 4. Corruption. Practically every form of data storage has the potential to be corrupted. Stray particles can interfere with most forms of data storage, and anything relying on magnetic strips or electric storage can be corrupted by electromagnetic interference. Even if there isn’t an outside source directly interfering with it, data can naturally degrade over time. Your best bet for protection here is utilizing multiple backups. 5. Scale. You might be able to find a storage solution that serves your current needs adequately, but what happens if those needs change suddenly? How will you account for your needs as they stand in 5 years? 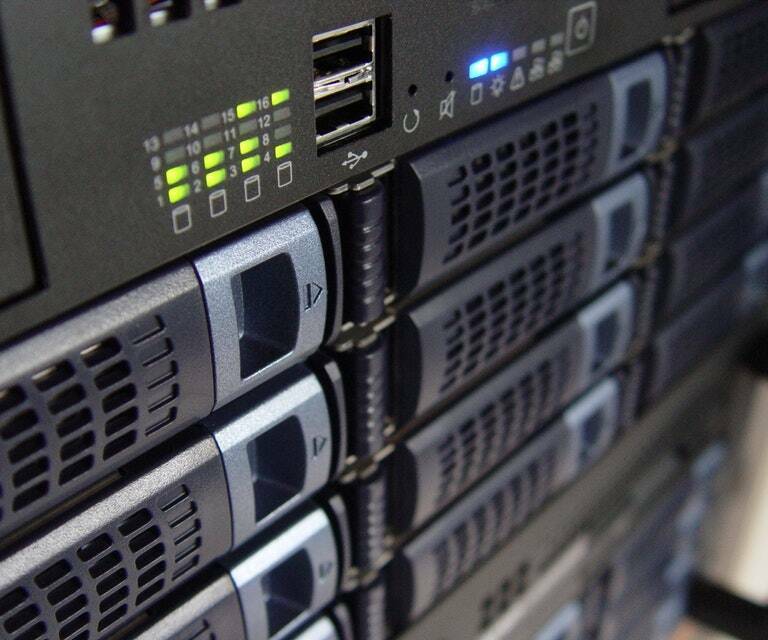 Your data storage solution needs some capacity to scale. Here, it pays to give yourself as many options as possible, since you won’t be sure exactly how your needs will change in the future. 6. UI and accessibility. Your data won’t be much good to you if it’s hard to access; after all, data storage is just a temporary measure so you can later analyze the data and put it to good use. Accordingly, you’ll need some kind of system with an intuitive, accessible user interface (UI), and clean accessibility for whatever functionality you want. 7. Compatibility. If you plan on using multiple systems or applications with your data, you’ll need to ensure they’re compatible. For that, you’ll need to find a data storage partner with an open API and a clean system of transition. Volume. The more data you need to store, the more complex these problems will become. What works cleanly for a small volume of data may not work the same for bigger demands. Predictability. You might not be able to predict your short-term or long-term storage needs. This makes it nearly impossible to respond with agility or accurately forecast your future demand. Other parties. Most organizations need to secure the agreement of multiple internal leaders and external partners when making a data-related decision. This can slow down the process and make compromises more difficult. Fortunately, there’s a constant pace of innovation finding newer and better solutions to these persistent data storage problems. The better you understand the core problems facing you in data storage, the better solutions you can invent to fix them.